Penguins Love Their ABCs by Sarah Aspinall: My daughter loves this series of books about penguins learning new concepts. This one provided a great review of the whole alphabet. Be Brave, Little Penguin by Giles Andreae: A sweet story about a little penguin who is scared of swimming. Little Penguin Gets the Hiccups by Tadgh Bentley: This is a really fun, interactive story of a penguin who is trying to get rid of his hiccups and needs the reader’s help. It is good for many laughs! Little Penguin Stays Awake by Tadgh Bentley: In the same format, this one asks the reader to help the penguin stay awake so he can make a wish on a shooting star. These books are really fun to read aloud! Penguin and Pinecone by Salina Yoon: There are several books about this cute penguin that my kids enjoy, but I thought this one was perfect for the lesson since it included another p word with pinecone! Watched a video of real penguins carrying eggs on their feet and then let the kids pretend to be penguins by tying a pillow around them and using a ball as the egg on their feet. Acted out the story of Penguin and Pinecone and the kids made their own pinecone pals to keep. I usually do two lessons for each letter, but only share one outline on here for the sake of time. 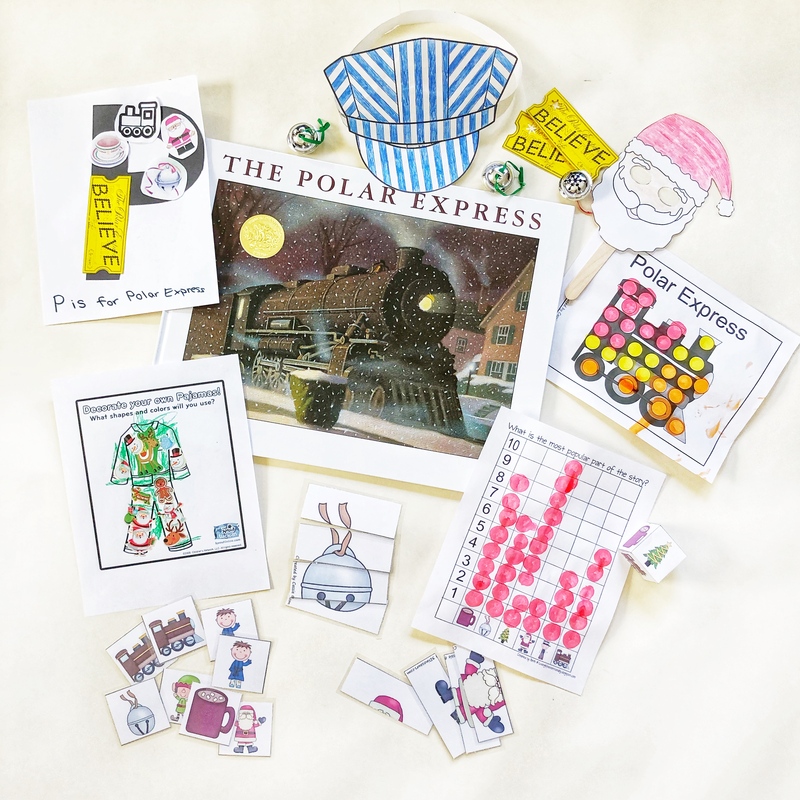 The other lesson we did this week was P is for Polar Express and it was a lot of fun!